This month, we’re excited to welcome ArevoHealth, Inc. as the newest member of the Alliance. The arevohealth platform is designed for self-insured employers and their employees to help optimize healthcare benefits while driving significant savings for both. Arevo’s solution bridges the frustrating gaps between insurers, hospitals, medical providers, and patients; solving the significant drivers of escalating health care cost. Arevo lowers costs for employers with transparent data and helps patients choose more affordable, high-quality care. Arevo’s easy to use app empowers patients with timely, transparent and personalized information to simplify their health care experience. Arevo allows hospitals and doctors market opportunities to compete in real time for patients, including the ability to offer special or spot pricing for unused appointments. 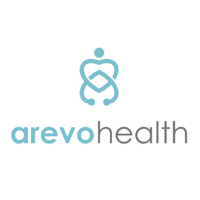 Learn more about arevohealth here.